According to IBM research, the most successful CEOs recognize employees as a central part of their strategies for organizational reinvention. They also understand that future trends and technology present a plethora of opportunities for business development. Clearly, every business that wants to be successful should follow the trends, including HR Trends. So how will HR industry look like in the nearest future? It’s obvious that the main changes in HR will be brought about by technology. Technology disrupted every single area of business: fr om IT to logistics and marketing. Now it’s time for HR. While marketers are busy trying to decipher consumer data, HR managers will face the same ocean of data coming from candidates and employees. Digital will permeate recruiting, performance reviews and training processes. Headhunting has always had a negative connotation. But real talent is rare and companies have to fight for it. In 2018 HR professionals will be using new weapons in their headhunting chase. Social media will become a powerful tool in the battle for A-listers. Social media will help HR professionals understand the A-lister's weak spots. Is the person happy at their current position? Are they looking for a career change? Recruiters will have to embrace new channels of data to maximize efficiency. Finding a talent and getting in touch will be easier. The companies who have raised great talent, on the other hand, will need to put extra effort into retaining their knowledgeable workforce. It all started with digital nomads, but now, it seems, the entire workforce is turning to the digital way of working and living. It’s common for employees to telecommute and work from the nearest Wi-Fi equipped spots. Companies care less about wh ere the person is and more about what the person is bringing to the table. This trend makes it possible for HR professionals to recruit people from all over the world. Having such a varied and vast pull of candidates will benefit the HR industry. Additionally, in virtual teams, the burden of maintaining employee happiness lies mostly on employees themselves, so HR will be able to focus more on hiring. The hiring process is boring. It’s filled with stress and uncertainty both for the candidate and the employer. Luckily, things are changing and hiring managers start to employ innovative and fun hiring tactics. Gamification refers to turning challenging experiences into interactive exercises that both collect the data and provide entertainment. Gamification took language learning industry by storm, and now HR is going through the same transformation. In 2018 employers will be using games for initial screenings, test results validation and as an additional factor in the decision-making process. In 1966 David Ulrich wrote a book on HR transformation. He predicted for HR managers to become full-fledged members of the leadership team. The second part of his prediction for the HR industry was an employee-centric approach. Unfortunately, only the first part came true. As talent became the most important factor for business’s success, HR managers moved closer to executives to ensure that business goals are better understood. But in doing so, HR has distanced themselves from employees. Next year HR departments will be more focused on employee happiness. This means providing for basic needs, taking care of the employee's mental health, exercising empathy on a daily basis, acting as a mediator and encouraging internal social networks. Today there is a lot of focus on productivity. We’re expected to do more and at the same time get the hang of technology as quickly as possible. The standards of work have risen up too. In the cut-throat business environment being the best is not enough, you have to always innovate and lead the way. Collaboration helps maintain standards and innovate through continuous loops of feedback and refinement. HR professionals will need to provide tools to maximize productivity and aid collaboration. It will be expected of the HR department to hire people with a universal set of skills. Since technology is rapidly replacing jobs, employees who can handle a varied range of tasks and quickly transfer from one position to another will be most valuable. Additionally, more productivity will be expected from the HR Managers themselves. By implementing best technological HR solutions HR managers will be able to achieve better results in hiring and building the company’s culture. Automation isn’t an option anymore, it’s a must. The HR department is responsible for a wide range of tasks, and most of them depend on the document-driven workflows. Applications, resumes, training, timesheets, referrals, payroll - each of these processes can easily be automated, so HR can focus more on the real face-to-face interactions with employees and candidates. 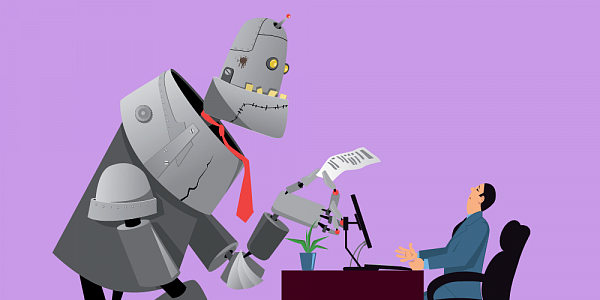 Automation will become paramount to HR success in hiring and retaining employees. CEOs and talented employees value personable approach more than ever and expect HR managers to use the latest human resource information systems, pay attention to the human side of the business, and automate all the repetitive tasks. Agile is a process used in software project management that builds products incrementally rather than delivering it all at once. In a typical circle of an agile process, the project is broken down into steps and each deliverable is worked on separately. Once the feature is delivered, it goes through the assessment stage and then gets kicked back to the team for the next round of improvements. Agile hiring is no different. In 2018 the hiring process will be faster and more effective. Instead of going through the onerous hiring process, the candidates will be hired and tested on the spot. HR managers will coordinate the first few weeks of an employee being on the job to ensure the right fit. Technology has disrupted many industries and business fields. Even such a human-oriented field as HR is experiencing a rapid transformation. Technology is replacing jobs, but it also puts more value on human values. In 2018 it will be important to automate processes, streamline hiring workflows and focus on productivity. As the New Year is fast approaching, it’s clear that businesses that ignore trends in the HR sphere will deprive themselves of the skillful workforce. So, take note and get ready to implement these changes now.